The possessive singular – part 1. 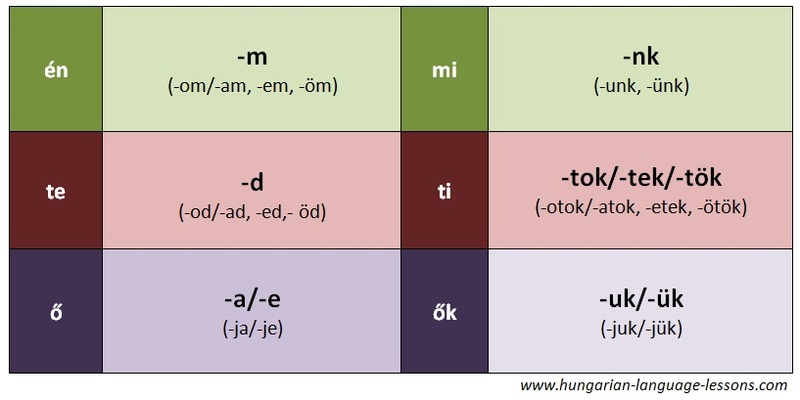 Possessive case in Hungarian is expressed mainly by personal endings attached to the end of the nouns. In this post you’ll learn about the singular possessive which means one has one thing and not more of them. In the table below you can see the endings for the possessive (which are very similar to the verbal endings in definite conjugation). Before we continue you have to make sure that you are familiar with the front vowels and back vowels in Hungarian language. Vowel harmony is there everywhere! In bold letters you can see the basic ending that have to be attached in each case. Below each one of them in brackets you can find other options as well. Let’s see what it means! So what is the difference here in this last word? I tell you: wherever there was an option for it, front vowel endings were added: a zenéje, a zenétek, a zenéjük. a definite article is in front of each noun in the possessive? When you say something like ‘My dog is faithful.’ – “A kutyám hűséges”, than you speak about one specific dog. It is a definite dog! But when you say ‘I have a faithful dog.’ – “Van egy hűséges kutyám”, an indefinite article is used. We will learn this in another lesson of this course, at the moment just please remember to add a or az. What are your skype teaching prices per hour/lesson/term? and in-person prices too if you do in-call or outcall? (i can get to budapest if you teach there?). thank you for turning my attention to this, it was a great help, the problem was solved on the website. Unfortunately, I can’t give lessons at the moment, I teach only 1 student once a week, this is all I could solve with my (almost) 3 months old baby, who needs me all the time. I am setting up a website during his sleeps with useful lessons to cover most questions of grammar and conversational topics. It takes time, but I am trying to launch it as soon as possible. I will let students know through my websites and in e-mails when it is ready.